This is the seminannual Able Muse Review (Print Edition) - Summer 2015 issue, Number 19. 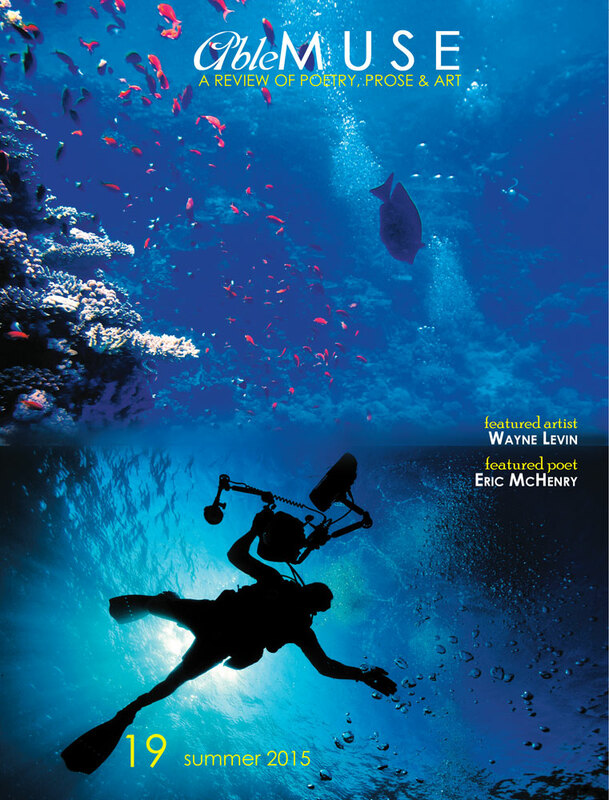 This issue continues the tradition of masterfully crafted poetry, fiction, essays, art & photography, and book reviews that have become synonymous with the Able Muse—online and in print. 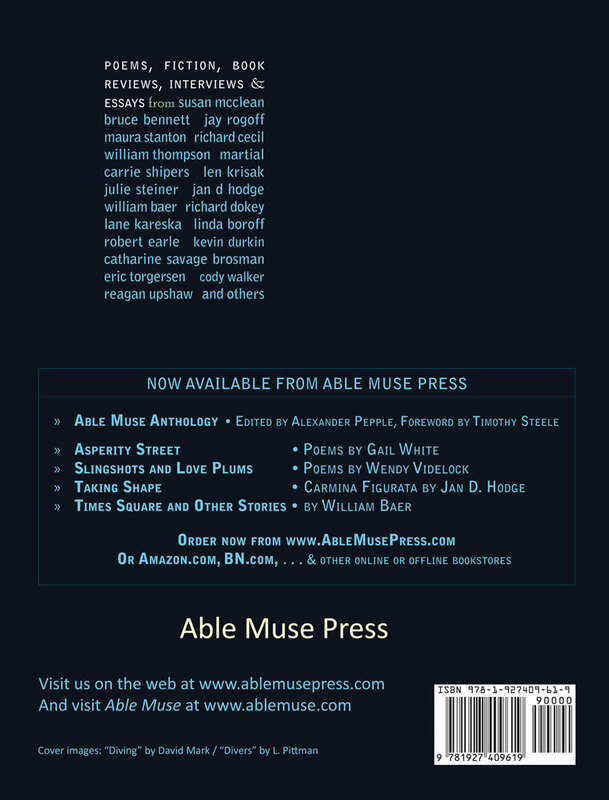 After more than a decade of online publishing excellence, Able Muse print edition maintains the superlative standard of the work presented all these years in the online edition, and, the Able Muse Anthology (Able Muse Press, 2010). FICTION — Linda Boroff, Richard Dokey, Michael Bradburn-Ruster, Zara Lisbon, Lane Kareska. ESSAYS — Catharine Savage Brosman, Kevin Durkin, Robert Earle, Eric Torgersen. BOOK REVIEWS — Reagan Upshaw. POETRY — Jay Rogoff, Meredith McCann, William Baer, Jan D. Hodge, Stephen Scaer, William Thompson, Martial, Susan McLean, Carrie Shipers, Maura Stanton, Stephen Gibson, Len Krisak, Glenn Freeman, Richard Cecil, Bruce Bennett, Julie Steiner, Eric Torgersen, Ed Shacklee.